Schedule your cosmetic braces consultation with Dr. Nick A Bouzis today! 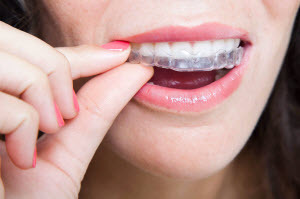 Orthodontics can be costly, especially if you’re seeking modern treatment for minimized visibility of dental appliances. Our dentists understand that many patients are motivated by cost for care; if you could get the results you wanted with a lower price tag, why wouldn’t you? At Dental Care Center, LLC, we provide ClearCorrect, an affordable alternative to Invisalign® clear braces. These two systems function the same way -- realigning teeth with removable plastic orthodontic trays. As a competitor, ClearCorrect allows patients to receive discrete orthodontics at a reduced cost. ClearCorrect is the smart way to get the smile you want, without compromising aesthetics. Don’t wait to obtain a smile you can feel good about. With so many cost-effective, low-profile ways to realign crooked teeth, there’s no reason to avoid orthodontics. If you’re interested in clear braces in Gillette, ask our dentists what they can do for you!